"Father, I'll Take Care of You" takes over the MBC Saturdays & Sundays 22:00 time slot previously occupied by "The Flower in Prison" and will be replaced by "Bad Thief, Good Thief" on May 13, 2017. Filming began late September, 2016 in Taiwan and finished there in early October, 2016. Eastender Aug 09 2018 11:46 pm Han Sung Sik is so childish and greedy. Can't stand him. Arihant May 21 2018 4:38 pm Hands down one of the best ever family dramas.Marathoned this in 3 days and time just flew! The story deals with a family patriarch and matriarch coming to terms with the fact that their grown sons and daughter's and other relatives start moving in with them one by one with their families - bag and baggage ,and the impact it creates.Parallely , a thread runs wherein there is a mysterious handsome neighbour next door who seems to have something against the family and is entrapping the family members in a revenge scheme. This is the first time I am seeing Kim Jae Won in a drama and found him fabulous as the mystery man with an agenda against the family.His story was one of the best elements of the show and kept me glued throughout. Also,discovered Lee Soo Kyoung and she is a fabulous talent as well as a harebrained member of the above family.She starts irritating but makes you warm to her character in a short while as she is the only one who can make the lead question his motives.The Kim Jae Won and Lee Soo Kyoung OTP is one of the most refreshing ones I have seen in a long time and really missed their scenes towards the end of the drama. I would love to see a second season based on them alone. The main strengths of the show lies in its story and the excellent way in which the show surprises you time and again.The show had some insightful comments on family,what constitutes a good parent and the pressure to academically excel. I was surprised to see that MBC ,not that well known for family weekend dramas, made this show and not KBS.The PS and writer team has done a superb job with this show. dounia Mar 15 2018 5:33 am I finished watching this Drama like 2 months ago and I loved it, but what the heck happened with the brother? debi Nov 27 2017 4:04 am greeeeaat drama im in ep 26 now, I have to ask(spoiler) is sung Joon and Hyun woo brothers or not???? Genuine179 Oct 26 2017 8:34 pm Overall it is a good drama, i like all of the cast and their chemistry from older one till the youngest one But the only character i hate is Han Jung Hwa. The only daughter of the Han's family. Since the character join the drama, i always fast forward whenever there's a scene about her. She is just absolutely annoying. And irritating. But drama always have a pro and cons. Maybe the character is the only cons. Bibi Jul 16 2017 10:24 pm Will oh dong hee and Han jung eun end up together in the end?? sunlover Jun 19 2017 1:47 am I thought this was a good show and it ended pretty well. A few crazy characters though. I loved the porch where Dong Hee and Sung Joon used to sit and talk. It appeared to be a pretty nice neighborhood. I liked the dog --- any one know what kind he is??? Sunbeam Jun 12 2017 2:07 am The grandmother was funny in Ep 47 when she said to the opera singer "are you a salmon swimming up stream to your death?" I have never heard that phrase before. She had a few other funny lines also, but can't remember right now. The grandmother finally told off mouthy Sung-Hwa when she told her "she was rude and dense." Surprised SW's parents don't tell her to shut her mouth instead of criticizing every one all the time. As far as Jung Eun is concerned,while I can see they wanted a love interest for Hyun-Woo, I am not sure why she had to be such a dipstick personality??? Why could she just have been more on the normal side? I didn't really see any purpose for that type of acting, nor did it add anything to the drama. The person - Hang Sangtee that Jo Moo-Gyum told Hyun-Woo he was in the Manila, is that the guy who is on evil Bang's side, and the board member Sung-Joon was talking to when he was trying to get him on the grandmother who was locked up for 20 years on her side?? If so, I thought he was arrested w/ Bang when Hyun-Woo bought the grandmother to the Board meeting?? Any the tape Sung-Joon gave to Sung-Hoon, that is not of any help to SH??? Or was it only against Bang??? Now it comes out that cute Ji-Hoon was going to commit suicide by jumping off the hospital roof. That was not shown to us. I feel bad for Ji-Hoon. I really wished Ji Hoon's story line would have been given the time/focus it deserved. I feel Moms like Hee Sok can be very scary, and the consequences and effects it may have on your kids is a very real issue. At this point in the game, it feels like more of an afterthought, and I really wished it wasn't. At least when he was with Sung-Hoon and family, he didn't have any pressure on him, but yet there wasn't much interaction between him and Sung-Hoon's family. He and Chang Soo are young and they should also be out with friends having some fun. While children need to study, they also need some other outlet. Sunbeam Jun 12 2017 1:16 am I saw Kim Chang-Wan on Yu Huiyeol's Sketchbook. I didn't know he was a singer nor had a band. He and his 2 brothers began composing music in their teens and formed a band. They released 10 albums. One of his younger brothers was killed in a car accident in Vancouver Canada and they disbanded after his death. It is very interesting story. Here is the info if anyone is interested in reading about Chang-Won. He is a pretty good singer - the little character. Diane Jun 03 2017 11:50 pm Mi-Joo's father is an ignorant pig. I can't stand him. lrt May 16 2017 6:19 pm This drama keeps you guessing and did a 180 half way through. It made me laugh ...cry and laugh some more!! Maileen May 12 2017 7:36 am Pls where to watch ep 49 and 50..
Azurixa May 08 2017 3:45 am I'm gonna miss this drama... my weekends will never be the same again. Love the happy ending... going to miss Seong Joon & Dong Hui (ship them, hehehe), the grandmothers and the great grandchildren especially Ah In (she so cute!). Star Wars Fan May 08 2017 1:08 am Mi-Joo told Dong-Hee that people could find her as she is emailing and she and her grandmother would have to keep moving, but DH didn't get the drift. DH doesn't have any idea who she really is and no idea she could be in harm's way. The grandmother should have told her why they were in hiding. Duh!!! Now the animal, Mi-Joo's father got his hands on her. What kind of animal is he to lock his mother up for 20 years just to get her money. What a low class creep. 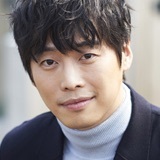 I am happy Hyun-Woo turned down Sung-Sik for money again. While I don't like what Hyun-Woo is doing to the family, both Sung-Sik and Sung-Hoon are losers and have no idea who they are dealing with. They don't really know Hyun-Woo per se, but have no qualms about asking him for money. I don't know what it will take for the 2 dumb brothers to wake up and start supporting theirselves??? The sister is an egotistical mouthy brat. I can't stand the way she speaks to Sung-Joon. He is the only normal person between the 4 of them. I will be happy if he can marry Dong-Hee and move out of that house. Xixonqua May 01 2017 8:12 am I keep watching this only for Kim Jae Won. He suffers too much. It is not fair. Sunbeam Apr 09 2017 11:54 pm When Hyun-Woo said that "Jung-Hwa is a nasty piece of work," he was 100% right. From the minute she walked into her parents house, she didn't stop criticizing and being bossy. I felt bad for Sung-Joon - he is having a very hard time with several different issues going on in his life, and then mouthy Jung-Hwa spoke to him so disgusting. The father should have told her to shut her mouth. Jung-Ae did tell her but she just kept going. Wait till they all find out the truth. If Sung-Joon and Dong-Hee get married, he will end up the best compared to the two brothers and the nasty sister. Jennelyn Mar 25 2017 7:40 pm Nice drama i love all character i love Dong haui and Song jeoon love story ?? maddymappo Mar 24 2017 4:40 pm Interesting what African said, because as a New Yorker, I have never seen a black woman with a baby begging, although I have been asked by white women with a baby for money (not often does this happen). And I would also be offended by showing a black person robbing a store, very condescending. I am also enjoying this show. I thin some of the discovery of whether he is the brother was too drawn out. He was so clever and so rich he could have managed getting a dna sample for testing even without his knowledge. We've seen it done in so many dramas. I still love the acting and actors. Especially All the Grandmothers and Great Grandmothers. African Mar 16 2017 6:07 pm I hope the writer or anyone who worked on this drama reads. I'm enjoying watching this drama and currently am on episode 26. There are couple of scenes that bothered me as a black women. I want to first say that the story line is very thrilling, funny, and unpredictable, however, the two scenes that show a robbery and homeless person begging for money is played by black individuals. There was also a joke about how Afghanistan's dress. That was very stereotypical and I thought it was necessary for the writer and the producers to read about crime statistics in New York before showing a black person robbing a coffee shop. Black people are only 13% of the population in the U.S. I will continue watching, but contemplated not to several times. It's important to be aware of these things because K-drama are international now and even black people watch it. 11Bravo Mar 13 2017 9:05 am For someone who knows what chief lee is doing to her family even though they are in-laws, Jung-Eun isn't in any hurry to warn them. But looking at the 3 actual Han kids and how spoiled and downright stupid they really are...I think I would let chief lee complete his revenge. I was thinking the same as you that the library was huge. We have some large libraries where I live, but not sure if they are as big as the one in this drama. Check out this library --- what do you think?? The glass front doors look the same. I tried to copy the sight over several times from the web but when I sent it, nothing that I typed came trough. Hope this will go through. Frank DiSalle Mar 06 2017 7:47 am Where is that huge library Dong Hee and Sung Joon were in a few times? It looked fabulous! I guess it's public? I hope somebody knows Thanks Frank D.
There are supposed to be 50 episodes, if they don't add on a few. Ricky Feb 25 2017 10:23 pm Ep.30 was amazing they finally kissed!!! Jerry Feb 23 2017 2:49 am I like the dog in this show. Any one know what kind of dog he/she is??? Sung-Joon called him/her "Moong Chi" I think. Seems like a sweet beautiful dog. Stacie Feb 20 2017 10:57 am Okay has anyone else realized that Oh Dong Hui is a missing heiress and tha Bang Mi Joo will be working for Dong Hui in the end. Kim Feb 19 2017 11:01 am I agree with Mimo. Mimo Feb 13 2017 10:55 pm I still thing that Sung Joon is Hyun Woo's brother. I think when the boys were brought into the orphanage they probably switched clothes and some kind of accident happened and that is why Sung Joon cannot remember his childhood. T-Myke Feb 12 2017 10:25 pm I'm anxiously waiting for Jung Eun to grow up and act like a mature young lady rather than the 10 year old dim wit. JAC Feb 12 2017 8:08 am I like this drama because it is a good story about a guy who doesn't know his past, but willing to marry the girl he love. Problem will she marry and love him back? The character got a self-esteem issue......being poor should not stop someone from being loved. laurel Feb 11 2017 11:12 pm does anyone know the song Son bo seung (han chang soo) sings for the teacher in episode 23? Mimo Feb 06 2017 11:02 am Ok, one more comment. Ep 11, one of my faves because of the kiss between Tea-Hwan Ssi and Eun-Bin Ssi. How is it that daddy long legs couldn't catch up to little itty bitty? That part always kills me and makes me laugh. Mimo Feb 06 2017 8:27 am Love Lee Tae-Hwan and Park-Eun Bin together. They are soooo cute, I can't stand it! :0) I love the height difference between the two of them. Can't wait for them to become official. Meanwhile, I am definitely ready for whoever to come out of hiding. I think it is Park Eun-Bin's father. I think that he may be holding the will of the dead CEO. I think the CEO is the person who died instead of her father and now Park Eun-Bin's grandmother wants him to help his own child for a change. But I won't know any of this until the person makes an appearance. Ugh! Come on Thursday, hurry up and get here. I am re-watching the old episodes while I wait. SMH. Ryan Feb 05 2017 3:16 am I have seen Lee Tae-Hwan (Sung Joon) in two dramas and really liked his performance. I don't know what to say about him in this drama??? He seems too passive. He just goes along with that girl who wants to marry him. It is obvious he does not love her, does not want to marry her, but he does whatever she wants him to do. I don't know if he is afraid he will lose his job if he doesn't go along with the program or what??? Her dad is another one - same old story line -- pressures Sung Joon that he should marry his daughter, blah blah blah, and then eventually will take over the company. I don't understand what they can't speak up and say what is on their mind. Most of these dramas are similar in this respect. I don't know if the director wants Sung Joon to be so low key in his part, or Sung Joon wants to play it that way??? And Kang Hee-Sook --- I would love to see her catch her ding bat husband trying to put the make on the TV girl. Wouldn't she be in for a big surprise. I do like the show and the story line and waiting for Lee Hyun-Woo to see how many more people he plans on destroying in that neighborhood. The area seems to be a pretty nice area. Nice modern buildings, great views from the decks and the furniture in Hyun-woo and Hyung-Sub's houses are very nice and more modern than some of the other dramas I have seen. JAC Jan 29 2017 3:17 pm Oh Dong-Hee is likable, but Han Sung-Joon character is stupid. Not really sure about what ep. 23.....maybe? Slow to develop. Do not care of the father of company or his daughter. Rich people who are evil.....as we watch brother who is rich could help his poor brother out? northerngirl Jan 29 2017 11:34 am Daebak! This drama is getting better and better by the episode!! Randy Jan 28 2017 10:31 pm Park Eun-Bin is so cute. lyn Jan 09 2017 8:40 pm i love Sung joon and Dong hee... nice couple...excited much for more of them ....sweet moments and happy ending??? Serenity Dec 29 2016 8:44 am I watch this drama coz of Kim jes won, but his scene too short, and have a lot of bored scene. MummyKoko Dec 25 2016 5:59 am I agree with @Wulan. I watch it for the sake of my liking towards Seung Joon and Dong Hui! I don't know but this is just my personal view. I love girls with soft hearted, polite and kinda unshameless character like Dong Hui. Fighting LTH and PEB! nyunyuelf Dec 24 2016 6:31 pm Honestly, don't like Sung Joon and Dong Hui's scenes. My favorite is Hye Joo and Sung Hoon ♡ Hwaiting!!!! As a parent myself, I find them much more relatable. neea Dec 21 2016 8:43 am I dislike females who act frail, weak, always looking as if they need to be protected, just not my type, these "endangered, must be protected or else extinct" species. MummyKoko Dec 07 2016 8:25 am I love Lee Tae Hwan after W! Never can get enough of him. Fighting Sung Joon and Dong Hee! azurixa Dec 05 2016 9:37 pm Love this drama! Can't wait for the next episode. Juu Dec 05 2016 1:11 pm Not bad but GOD Jung-Eun is fu***** annoying!!!!! Anonymous Dec 04 2016 1:30 am Why they gotta be IN-LAWS though (Seong Joon & Dong Hui) ? 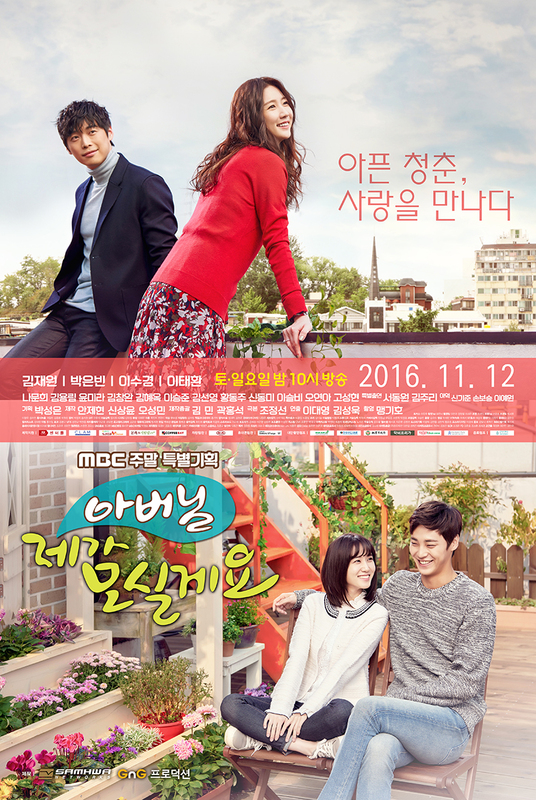 Irishguy Nov 27 2016 11:45 am Decent drama, building nicely, it reminds me of "My Husband Got a Family" with the majority of the main characters living in the same building. Plenty of intrigue in the future around what David Lee is doing in the neighbourhood and Oh Dong Hee grandmother. Lee Soo Kyung is a talented comic actress so good to see her in the dippy hippie girl role. The downside for me is that Park Eun Bin is a more talented actress than the role of sweet girl with bad luck that she appears to have here. Hopefully the writers will get a chance to provide her character with more depth. KAP Nov 27 2016 10:25 am I do not see anything wrong with the cover picture. Bouchra siroua Nov 21 2016 3:41 am @jules that's not correct! the old couple are parents of the three boys (han sung joon, han sung hoon and han sung sik), their wives are not sister the new each other before getting married but they are not sisters maybe they used to work or study with each other! the hippie girl who just came back home is not the boy's sister but their cousin, she is the daughter of the old man's sister: the piano professor! now the girl who went to taiwan to look for her brother is related to the first son's wife! they are not blood related tho and that guy the "criminal" us not her real brother, they said it on the first episode, they don't share the same last name either! they still didn't expalined the relationship between these three but i guess the grandmother did adopt seo hye joo and seo chul min ( who are blood related siblings).with her granddaughter (oh dong hee) the lead actor (kim jae won) who plays the charming lee hyun woo seems to have something with this family, but since we are still in the early episode we will find out about it later! Jules Nov 20 2016 8:49 pm The guys are sons of the old man. The two wives are sisters, and the youngest who was traveling is also sister of the wives. The younger guy is son of the old man. There is also a daughter, the hippie who appears on episode 3. So the father kids: three sons, one daughter. Two daughter in-laws + their sister & criminal brother. Mary Nov 20 2016 5:07 pm I'm a little lost with the family structure. Could anyone explain? Tp Nov 19 2016 7:04 pm Hurrah, Kim Jae-Won is back! Certainly will enjoy watching this drama. kurly korean Nov 19 2016 12:34 pm I don't understand why they have main girl and main guy and the 2nd lead girl and 2nd lead guy are swopped and in the pic the couples are swopped. plz explain??? Darn Nov 13 2016 2:45 am Wow Park Eun Bin and Lee Soo Kyung kinda look alike. I might be watching this for them girls. Eun Bin is one of the more promising but underrated child actress turned actress, just like Nam Ji Hyun. Ciara Nov 13 2016 1:26 am in ep 1, what is the name of train station in taiwan they shoot? knskgg Nov 09 2016 5:08 pm Park eun bin ❤ Lee taehwan? Ohhh I love this drama already! Bia Costa Sep 29 2016 4:57 am Yesss, I'm so excited! I love watching Park Eun Bin, she's an amazing actress. Best of luck to all the cast. lovemesomedramas Sep 28 2016 10:17 pm How many episodes is this drama supposed to be? I will love to watch it but if it's one of those 50 episode dramas I think I'm going to have to pass. Sounds so comfy and sweet, though. Perfect for the November to December months. All about the family and love. Mari Sep 13 2016 2:40 pm Loving the cast. Taehwan and Jaewon!! Shn Sep 13 2016 1:37 pm What is the cast of Kim ? What about his character in this drama? Joy Sep 13 2016 9:25 am Lee Tae-Hwan!! !